 Our Macadamias are a healthy mouthful, rich in monounsaturated fats, carbs, fibre, calcium, magnesium, potassium, iron, thiamin. When a healthy handful of macadamias (30g about 15 nuts) is consumed each day as part of a healthy diet, it may lower your risk of heart disease, type 2 diabetes, oxidative stress and can assist in weight management. Protein wise, 60g of Macadamias equals 75-100g of meat. Macadamias are great for salads, roasts and casseroles, cakes, all manner of desserts, ice cream, gelato and of course as a quick snack: given their flavour profile and healthy character it’s no wonder macadamias are popular with nutritionists and chefs alike. For more healthy eating ideas check out www.australian-macadamias.org With 82% monounsaturated fatty acids, Macadamia Nut Oil has more of the good oil than olive (73%) or canola (63%) oils, which, given that soft buttery flavour and nutty nuance makes it perfect for salad dressings. For more nutritional information check out www.nutsforlife.com.au a health education initiative from the Australian Tree Nut Industry.